It's been a great year for our In Depth section, with a diversity of topics bringing global issues to the fore. Have a dip into our varied articles, and find out our most read articles of 2017! In the student centre of an idyllic Western Massachusetts college – up the ground floor staircase, past the inciting smell of half-baked cookies and ethically sourced coffee – you will find a dingy two room studio tucked away from the now distant hum of students. A quick swipe of a student ID and you are granted access to the world that lies beyond. Band merchandise, consisting primarily of posters and stickers, collage the doors and walls, while metal shelves housing CDs and vinyls are sprinkled with coloured sticky notes that showcase the thoughts and whims of its latest denizens. During the academic year it houses more than just physical copies of artistry, it serves as a refuge for the 40+ students who choose to devote their time to the organisation aptly named WMHC (Mount Holyoke College’s student radio station). 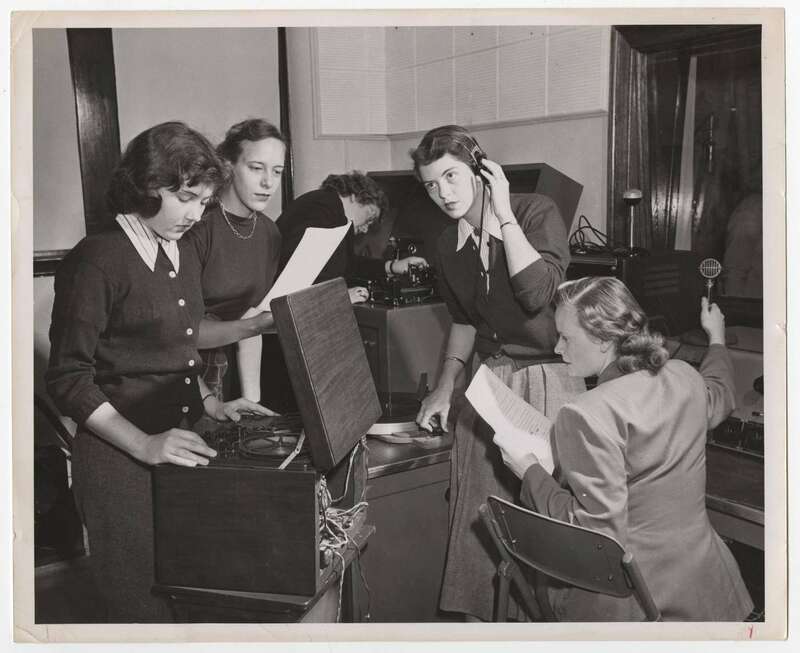 The oldest historically female-run college radio station in the nation, it has truly seen it all: from the heydays of college radio in the late eighties and early nineties to the creation of streaming services. It’s a station that, like many other college radio outlets, is reflective of a fringe culture that society has deemed fading or even obsolete. Brutalism, identified by its chunky peculiarity and concrete oddity is both adored and loathed, understood and condemned. But as its national demolition is routinely being called for, an insurgence in its popularity has emerged, only to illuminate the current isolation between politics and architecture – a relationship once intrinsic to our fabric of life. Socialism was embedded in the rubric of British brutalist designs. The hoary buildings took precedence in housing those living in poverty following the Second World War – an optimistic odyssey that stood bold amongst the passivity of previous everyday life. At its core, is the ethical realism that British architects, Alison and Peter Smithson (architects of Hunstanton School and Robin Hood Gardens) cemented into the essence of what they termed, “New Brutalism”. This architecture was, inarguably, an attitude of dissatisfaction that demanded to be recognised, the “rough poetry” that commanded a sympathetic response. It was a direct attack on dominant culture and the apathy that defined it. Is Capitalism to Blame for Our Health Anxiety? Health anxiety affects 20% of the general population. In our fragile capitalist climate, analysing the relationship between systematic insecurity and biological insecurity may well be overdue. Under capitalist governance, value is only granted to those who are deemed economically productive. Following the birth of neoliberalism in Thatcherite Britain, a supposed ‘meritocracy’ was confidently announced by New Labour. Its individualist rhetoric promised that working hard is the direct route to success and social mobility, regardless of our economic or social backgrounds. In turn, this established the false claim that British society has successfully surpassed taxonomy, a far cry from the recent statistics proving that the gap between the rich and the poor has never been wider. Still poor? Then you simply didn’t work hard enough. Is less more? Or should absolute immersion be the goal of any respectable director/cinematographer? Join me on our second odyssey into the land of mystery and wonder that is format, as we aim to decide once and for all: what is the golden ratio? It is difficult to define exactly when the culture and community of Harlem began. Many journalistic and scholarly articles go as far back as the Dutch creating New Amsterdam; however, it is arguable that it began with the Harlem railroad, connecting Harlem to the rest of Manhattan from the late 1800s (and, ultimately, creating the large influx of migrants into the neighbourhood). During the Great Migration of the 1910s and 1920s, Harlem became a majority African American area due to many people escaping the segregationist laws and discrimination of the South. This led to what is now known as the Harlem Renaissance, an era of African American literary, artistic, and intellectual development. Imagine being in so much pain that you never left the house unless you had to. Now imagine you couldn’t make that pain go away. The charity Pain UKestimates that 14 million people in Britain are suffering from chronic pain, defined medically as pain persisting longer than three months. Others put that number much higher. There is only a limited amount the NHS can do for people who suffer from chronic pain. Many are simply prescribed painkillers and left to deal with it themselves. For those without a strong support network, there is a patchwork quilt of community organisations and charities that can be turned to to help rebuild their lives. The work of many YBAs can no longer be seen as subversive (if it ever even was perceived that way outside of tabloid news articles) because it is a product of the social reproduction of taste by the dominant ruling classes – those with access to money and cultural capital, such as Charles Saatchi, Jay Jopling and many of the YBAs themselves, who are responsible for bringing this artwork into the mainstream and framing it as representative of British art and culture. Such work calls into question ideas of the authenticity of working-class culture but Stallabrass, writing about Richard Billingham’s work, argues that “there is an implied snobbery in this line of appreciation and, despite the artist’s proximity to his subjects, pastoral remains intact in Billingham’s work: connoisseurship is applied to the lives of those who have hold of some truth without knowing it, indeed as a condition of their not knowing it, for if they were considered to be aware, there would be nothing for the artist to add.” Such work sensationalises and appropriates the lived experiences of people who will likely never come into contact with the likes of Saatchi et al, or the work they endorse. The people depicted in Billingham’s photographs are living in poverty precisely because of neoliberal economic policies which put working-class people at a disadvantage, but allowed the YBAs an opportunity to co-opt their struggle. Christopher Nolan’s Dunkirk has won universal critical acclaim for its attempt to authentically reproduce the evacuation of soldiers from Dunkirk. Nolan’s movie has been hailed as the artistic zenith of the war film; a masterclass in temporal and spatial elasticity, weaving together a triplet of narratives told across one week, one day, and one hour, dispersed across land, sea, and air. Whether or not the violent immersion of Nolan’s filmmaking masks the vacuity of his storytelling, I do not know. Despite trying terribly hard to resist, Nolan cannot help but tumble into the muddy, well trodden trench of war film tropes. Sparse on dialogue and heavily reliant on Hans Zimmer’s (quite brilliant) score Nolan closes his narrative with a romantic crescendo that belies an otherwise ‘realistic’ (I use that term in the most austere sense possible) picture. Predictably, the nuances of narrative are discarded in favour of a quasi-patriotic glorification of conflict. 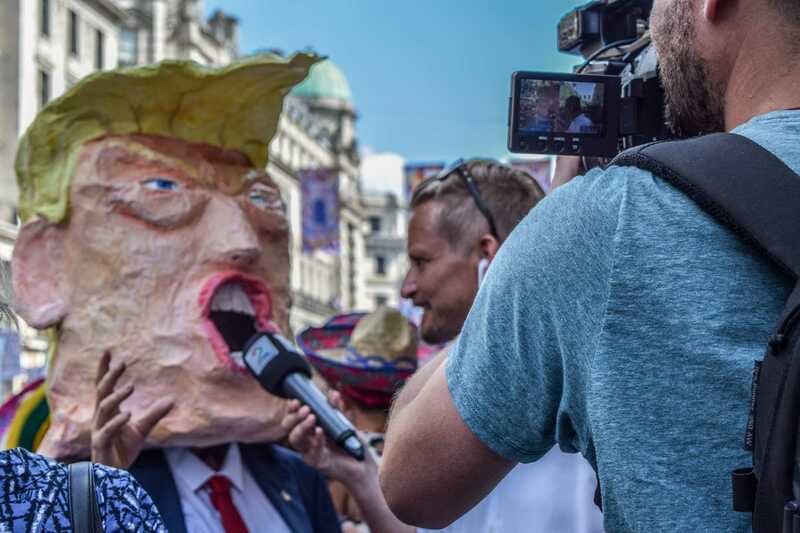 The debate over whether art should be political is one which has dominated discussions amongst those who dwell in the world of creative expression. It is ongoing and arguably, gathering momentum. On one end of the spectrum it is argued that art should be didactic, that it has a necessary role in unveiling social injustices, to make the personal political, and serve as provocation in order to generate discontent amongst the oppressed. In contrast, others argue that art with an assigned meaning ruins the beauty of art itself. Photographer Viktoria Binschtok, however, illustrates how politically motivated art is anything but disposable with her collection, Die Abwesenheit der Antragstellar (translated as, The absence of the applicant).